Last week I made Fruit & Herb Infused Alcohol and this week I’ve moved on to teas! I’ve mentioned my good friend Debbie sells Steeped Teas and I’m a big fan so I have all kinds of loose leaf tea at home. Despite that, she gave me 3 samples to try and told me of a few drinks to make with them, but I decided to see what they were like steeped in vodka. Well not only were they tasty but we had lots of fun making and testing them! 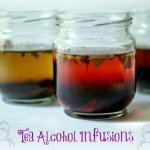 I made these in small batches because I didn’t want to waste tea (nor my vodka!) so the ratio I used was 2 teaspoons of loose leaf tea to 1/2 cup vodka. Again I used a middle shelf vodka because cheaper vodka would be way to rough for something like this and I was too cheap to buy top shelf. I steeped the herbal teas for a week or more. It didn’t seem to have any adverse effect on the taste. However the black teas only needed a few days, otherwise they because bitter. So my advice is take a taste every couple days until you get the right flavor. At least that’s what my husband said. Hmmmm? 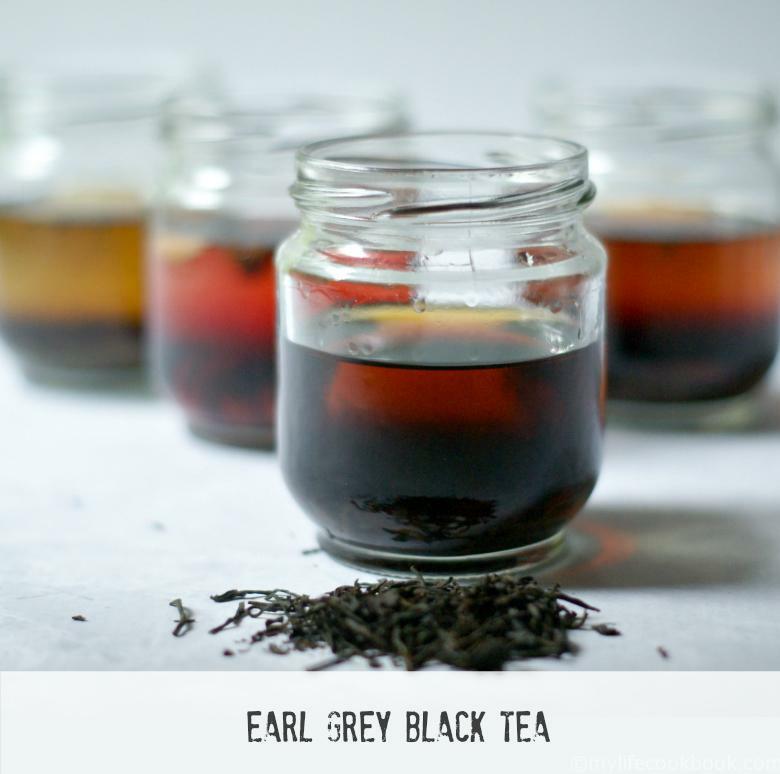 Our first experiment was an Earl Grey Black Tea Infusion. I made this one specifically for my hubby who drinks about 4 cups of Extra Bergamot Earl Grey every day. I love the smell of Earl Grey so I thought it would make a tasty drink. With my first batch, I steeped the tea for a week which was too long and tasted bitter. 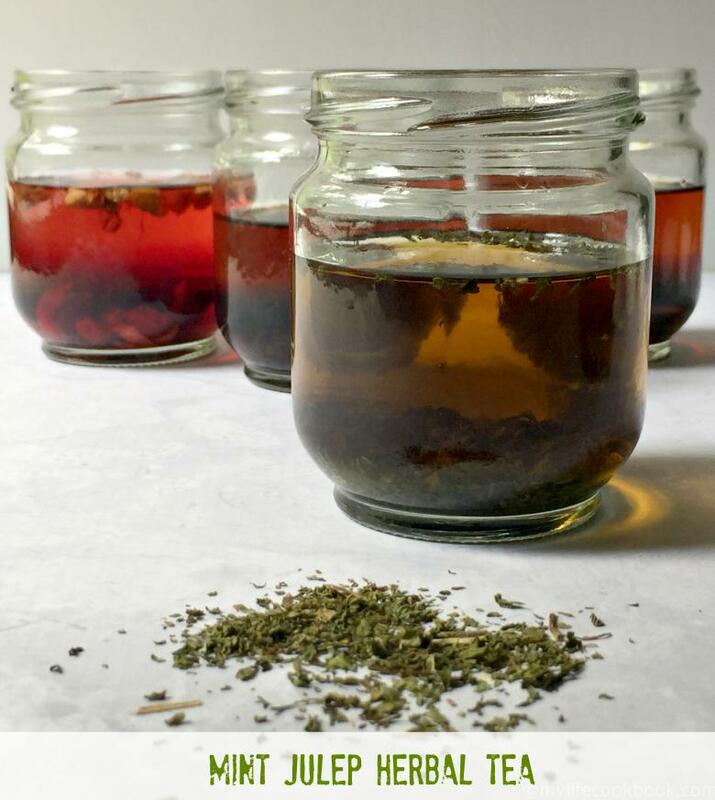 I made a second batch and steeped it for 4 days and it was much better. My father in law enjoyed this one too. He was finally interested in my blog! Or was it the taste testing. Hmmm? This is one of Debbies tea’s, Mint Julep Herbal Tea. Next time I think I will use rum for this one and we will have a great base for mojitos. This was both my father in law and my hubby’s favorite. The tea itself is really good so I think that’s why it came out so well. It has a spearmint base with was different from all the peppermint teas. I think if you added a bit of sugar and lime you have yourself a mojito! 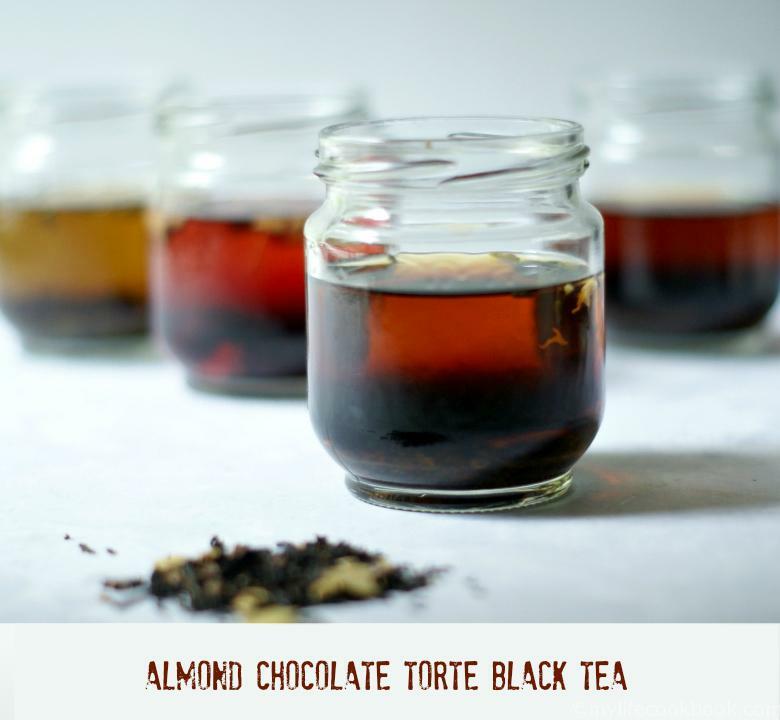 This is another of Debbie’s teas, Almond Chocolate Torte Black Tea. Doesn’t that sound tasty! This was my favorite, which was unexpected because I’m not one for a dessert drink but this was so subtly sweet. More surprisingly both my hubby and father in law really liked this one. To me it was the most unique. Again this is one you don’t want to steep too long because of the black tea. I did it for 4 days and it was good, but I was impatient and should have let it go 1 more day and it would have been perfect. Taste testing is the key. Lastly, this was a fruity tea of Debbie’s called Cosmopolitan that I really liked but the guys did not care for. Then again they are scotch drinkers not cosmopolitan drinkers so I don’t know if you count their opinion for this one. I would definitely drink this again. Especially on a hot day in summer. It tastes very much like a cosmopolitan on it’s own with out any mixers. The reason I made all of these was that I like to have a cocktail every once in awhile and I don’t like all the sugary mixers and the teas add so much flavor that you don’t really need any. I would drink these all on the rocks or with soda and I think they would be delicious. But if you want to use mixers be my guess. I bet you could come up with some excellent drinks and if you do, please leave me a comment and let me know your recipe! I can honestly say they are all good. This was a lot of fun to make and I already have more ideas so I hope you enjoy these recipes/ideas. 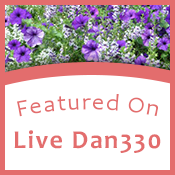 If you are interested in Steeped Teas, check out Debbie’s site. 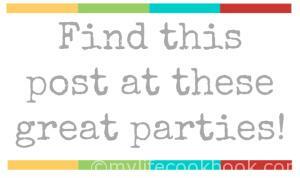 And if you have any related recipes or ideas, please let me know in the comments. 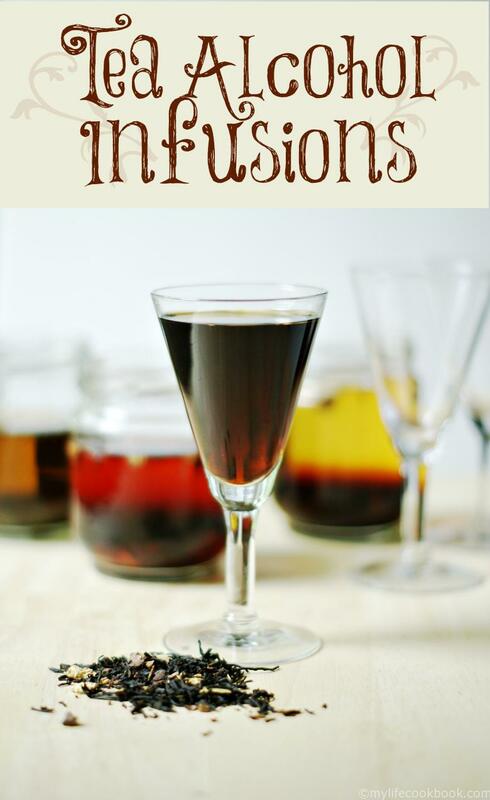 Using loose leave teas to infuse vodka can make some very interesting and tasty drinks. Perfect for the summer! 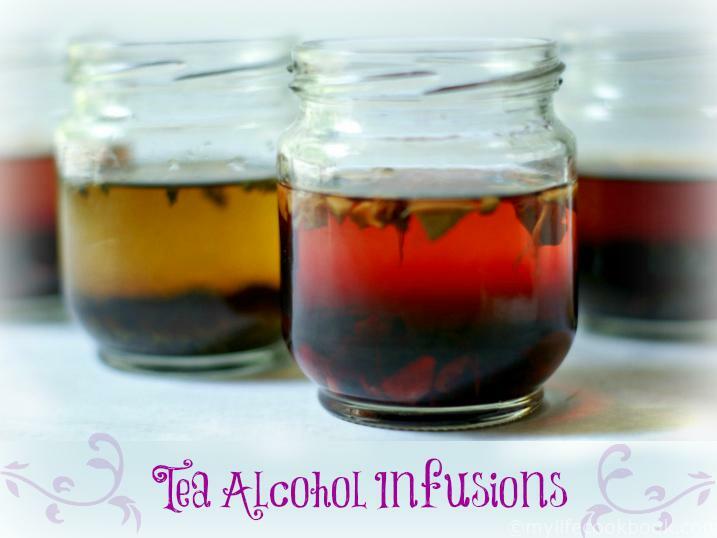 In a class jar, add your tea and vodka (in the ratio of 2 teaspoons of loose leaf tea to 1/2 cup vodka). Please use middle shelf or better vodka for a better drink. Store on the counter and taste every few days for desired flavor. 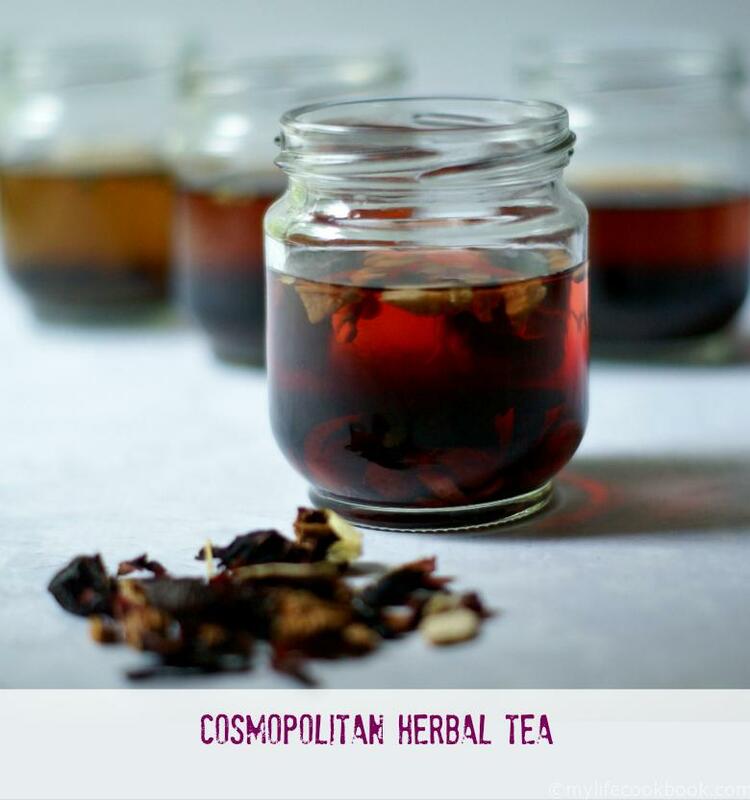 Black teas only need a few days whereas herbals can go longer. Use over ice, with soda or your favorite mixers. Thanks for the tip Paul! Sounds delicious! I have one word: YES! Thank you for linking up with Thursday Favorite Things and I hope to see you next week again! I am looking forward to trying these! Most cocktails have way too much sugary stuff for me and this is a great solution, thank you! I agree about the sugary stuff. These are simple but very tasty. I hope you get a chance to try them. If you like tea I think you will really like these.